FUMC relies upon regular contributions and deeply appreciates consistent donations throughout the year. 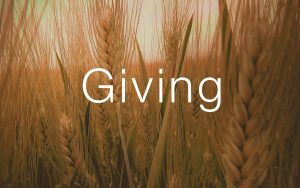 Each monetary gift, regardless of method, supports the mission and ministries of the First United Methodist Church. Follow the onscreen instructions to create an online profile and schedule your contributions. Please contact the Church Office for any questions.